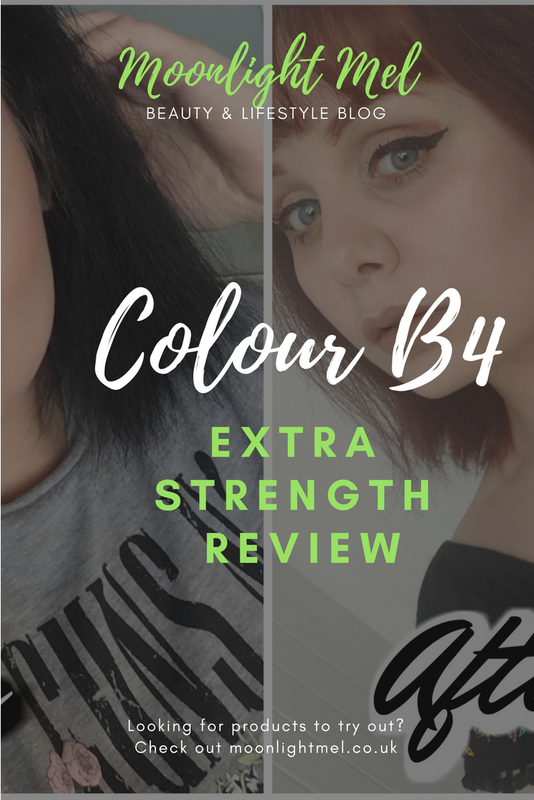 Now I have been dying my hair for many years and I was no stranger to using colour b4 products or similar products like them. Seeing as I have used these so many times I thought I could give my fair say on this hair colour remover. I must start by saying I am not the biggest fan of this but I can see why it's so popular. 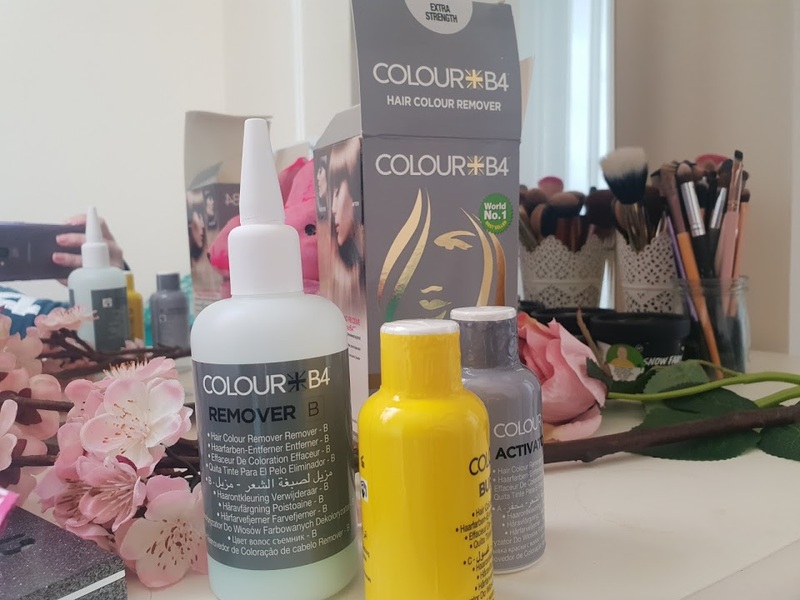 Colour B4 is a hair colour remover and it basically works by shrinking the dye molecule back to its original size. Different factors can affect the results though. It is used for removing unwanted hair dye either to leave like that afterwards or to change your hair afterwards. Extra strength is for harder to remove hair dye and for myself, I wanted to remove Schwarzkopf cosmic blue and its renowned for being a brand that's hard to remove. Now for goodness sake, the instructions are super important for this and I would rather you read them on the instructions because its complicated and not following one step properly could affect the results of the product. After following the instructions properly and apply this to my hair I left it for the required time and OMG if you don't know about this product... it really smells and I can't describe what it smells like but my god it's awful. Open the window you need lots of ventilation. I felt like I was in the shower for 12 hours because it was a long process of washing out the product the buffing and rinsing... very rhetorical so you can honestly see why I said you need lots of time. I was actually tired off getting this out that I was hoping that this product worked wonders on my hair but to my disappointment it didn't work well at all and to top it off it made my hair feel really dry and very tangly and I actually regretted using it so much that I decided to get my hair cut short instead of using a product like this again. Now I know the picture of the after looks fine but my hair was patchy and went dry very quickly. I do think results person to person though. 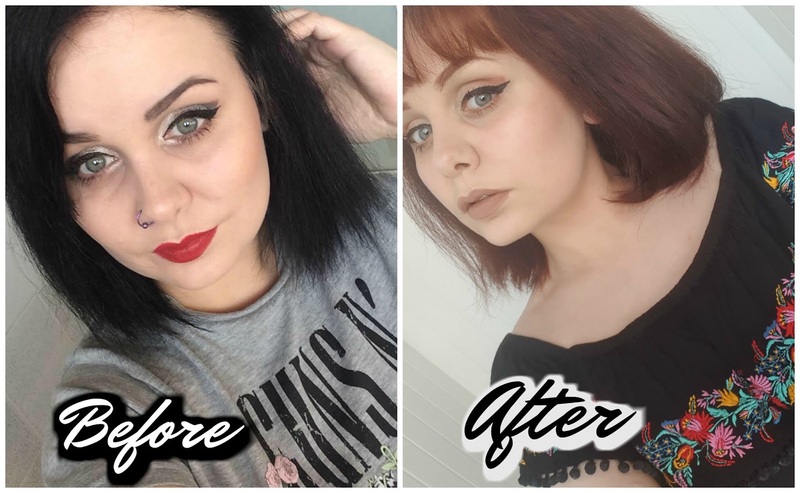 My hair has had its fair share of hair dyes over the years and its worked sometimes better than others and also I wasn't expecting miracles with this product. This would be brilliant for anyone with unwanted hair dye but I would say if you have lots of hair dye or a complicated dye to remove I would honestly suggest going to a hairdresser. As with any hair product, I would suggest doing the research first as I have dyed my hair and later regretted. Also, its good to know all the details on this too because on their website it has a huge Q&A section so it would be worth checking that out for sure. 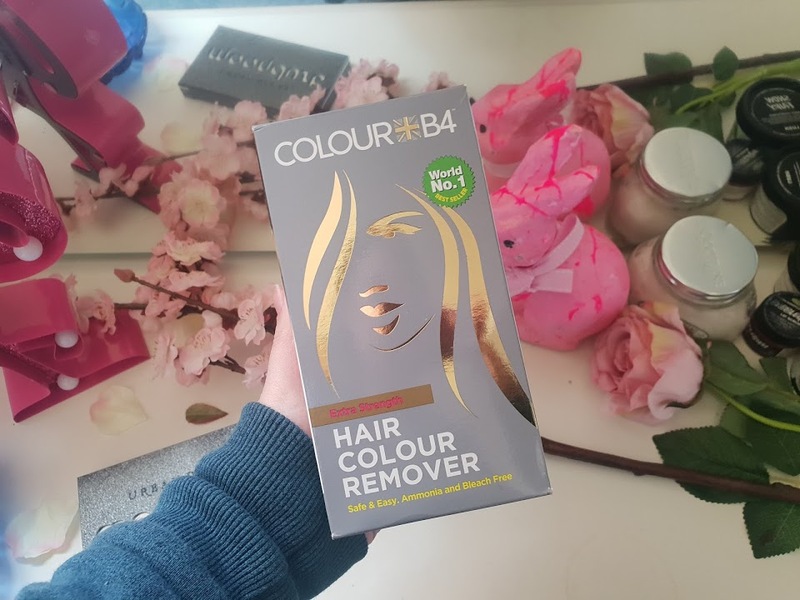 DO NOT use a permanent hair dye or bleach after using this product! It will take you back to you pre-colour b4. I did this before in the past. 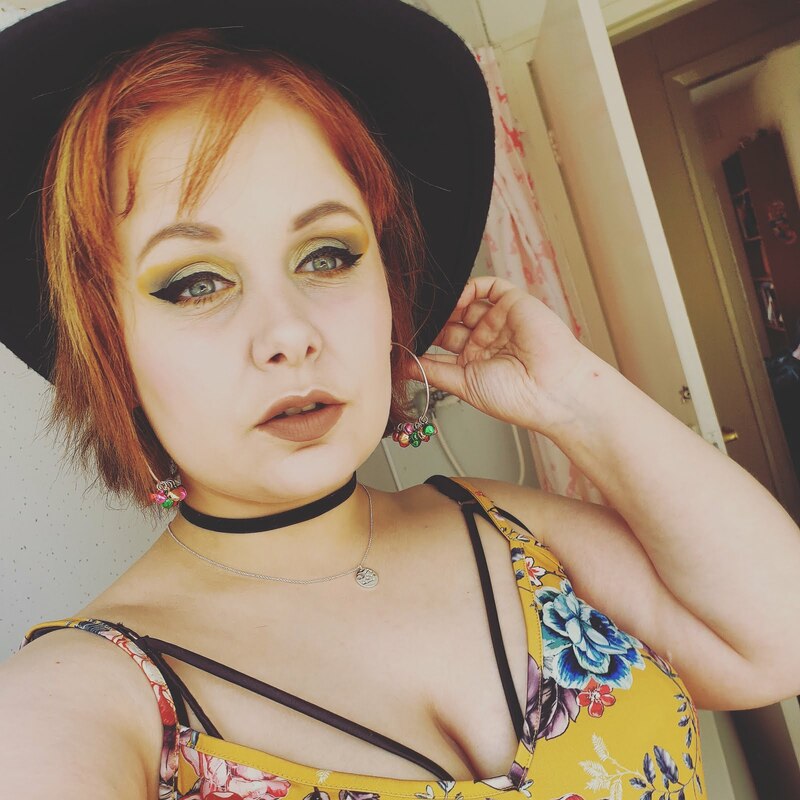 I would wait 2 months and I know that sounds like a long time but I waited 6 weeks before and it still took me to my pre-colour b4 hair so yeah. Homework is everything with colour B4. About £10 but it can be found on offer if you look online. Where can I learn more about colour b4?